The last reservation of this item will conclude on May 15. For rentals that require shipping or a pickup at a non-headquarter location, please select a later date for your arrival. Headquarter offices are the only locations that can accept a same-day reservation, as transit time is not calculated in this date. 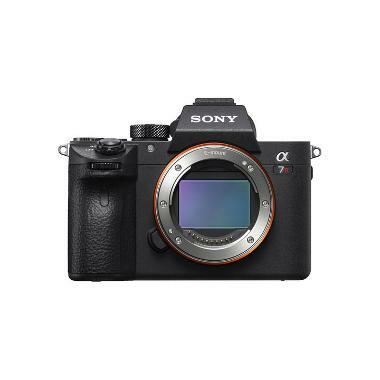 The Sony Alpha a7R III Mirrorless Digital Camera combines many of the stellar features of the various a7 series cameras into 1 powerful multimedia machine. It took the high resolution sensor of its predecessor, the a7R II but updated the BIONZ X image processor. This afforded a leap in continuous shooting speed – up from 5 FPS in prior models to 10 FPS. While not nearly as quick as the Sony a9, it's still suitable for most action scenes, including sports, wildlife, and events. Base ISO has been expanded from 100-25,600 to 100-32,000 while the Fast Hybrid AF System now offers 425 contrast detection points in addition to the 399 phase detection points – up from 25/399. The a7R III uses the same high-capacity battery as the a9, which allows up to 530 shots per charge. 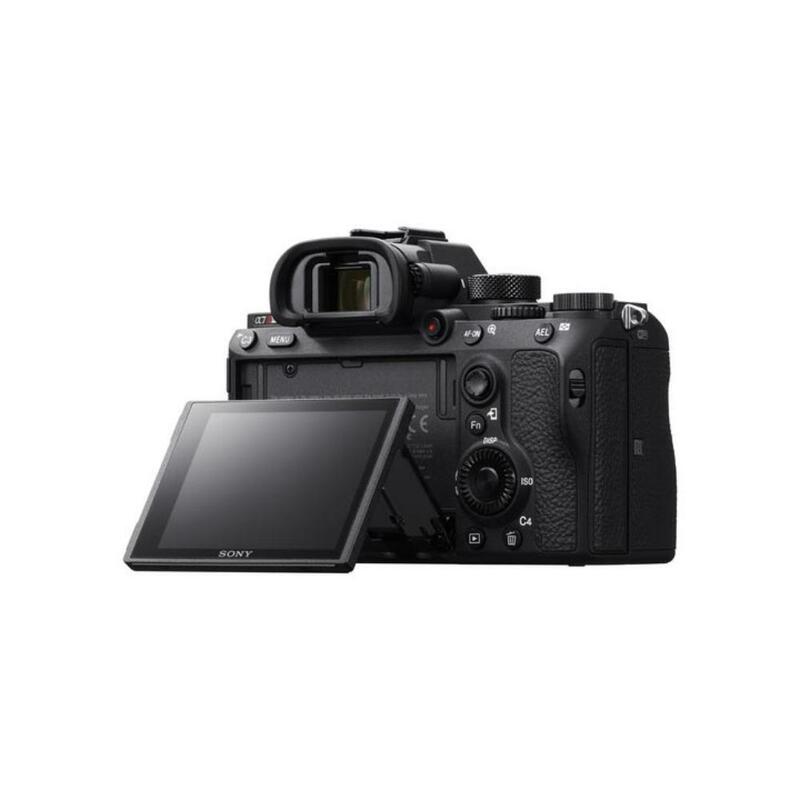 With dual SD card slots, a tilting touchscreen LCD, headphone/microphone ports, and a PC sync-in port for external lighting, the a7R III has positioned itself as the all-around go-to camera with pro-style operability that's exceptionally powerful for portraits but also extremely well suited for events and commercial work. For videographers, the a7R III is equipped with internal 4K shooting and S-Log2 and 3 for better gradation from shadows to midtones and a wide dynamic range of up to 14 stops – a lot of flexibility for post production. Enjoy the new Hybrid Log-Gamma picture profile, which supports high dynamic range, helps prevent blocked shadows or blown highlights, and creates instant, lifelike footage without further color grading. All of this dynamic range also serves photographers, who get to enjoy 14-bit RAW output even in silent or continuous shooting modes. Compared to the a7R II, the a7R III has 2x faster AF speeds in dim lighting. The AF algorithm has been borrowed from the a9 so that high-resolution shooters can still enjoy lightning fast AF tracking. Additionally, the 5-axis image stabilization gives you a 5.5-stop advantage. Overall, the a7R III provides the latitude needed for shooting or filming in even the most light-challenged environments. Ergonomically, an updated electronic viewfinder gives a better viewing experience helped by improved Focus Peaking while the touchscreen LCD is intuitive and offers easy focus point control. The lens mount has been improved to better handle larger lenses while grip rigidity increased for more comfortable holding. The shutter unit has also been revamped with a coreless motor and brake system to reduce vibrations even further. A number of enhanced weather sealing points makes the body dust and moisture proof. For those using the latest SD cards, one of the slots supports UHS-II while a USB 3.1 Type-C port has been added for faster tethering support – a great feature for studio shooters. The Sony a7R III is ideal for portrait, lifestyle, and commercial photographers but it is also an amazing tool for travelers, multimedia creatives, or shooters who just like to do a little of everything with high resolution results. 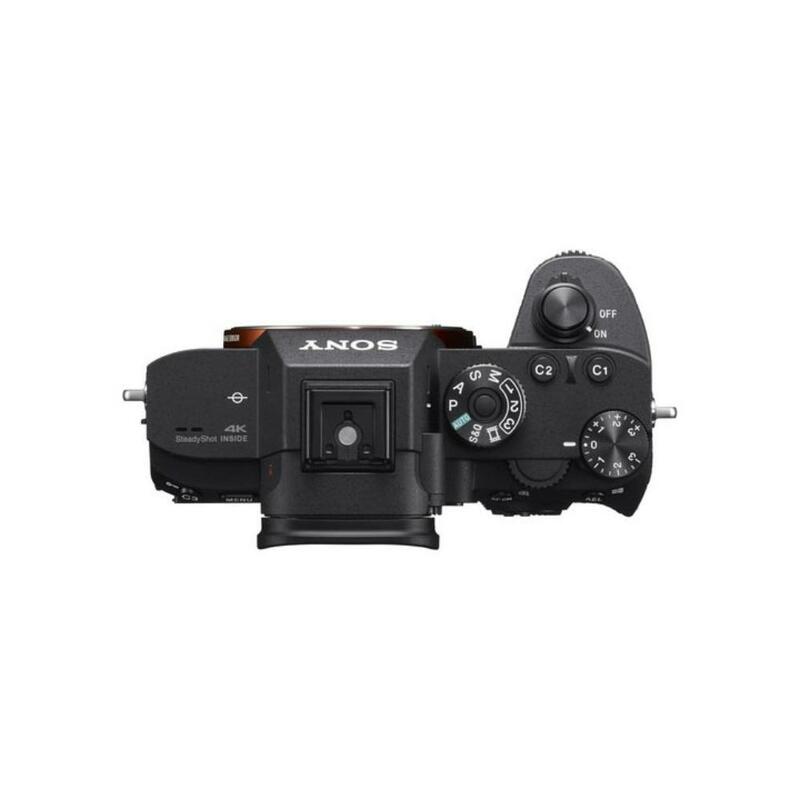 • The a7R III is a full frame E mount camera but is fully compatible with crop frame E mount lenses when the camera is in APS-C crop mode. • This rental is for the camera only and does not include a lens. • We make every attempt to have a fully charged battery for you but we can’t guarantee it 100%. If you need a fully charged battery, please request it via the order notes. Battery life is approximately 100-180 minutes during continuous movie capture or around 530-650 still frames. Battery takes about 285 minutes to charge. • A Class 10 or higher SDHC/SDXC card is required for XAVC S format movie recording. UHS Speed Class 3 or higher card is required for 100Mbps recording. 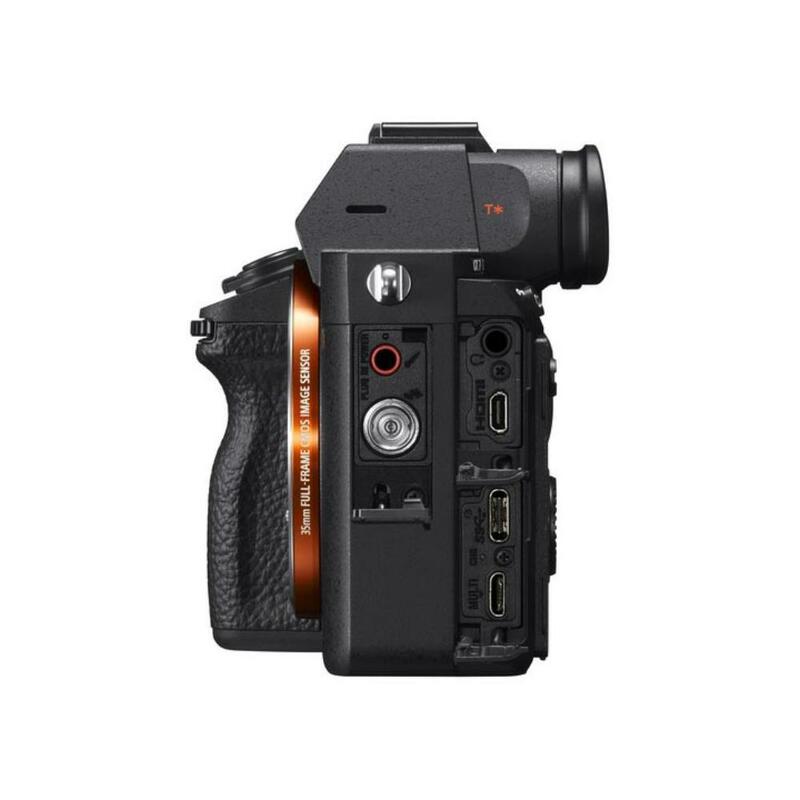 • This camera is compatible with the Sony VG-C3EM Battery Grip (which is not included). • Continuous video shooting is possible for approximately 30 minutes.